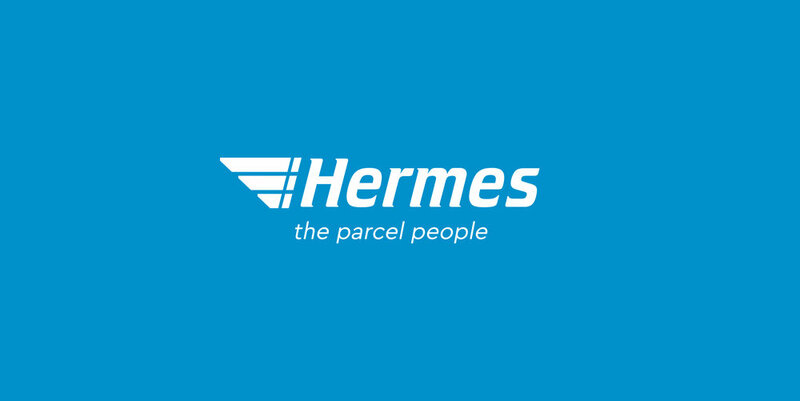 I have been working closely with the Hermes UK in-house marketing team, SEO's, product & innovations teams including stakeholders as their 'local' agency to provide consistent designs with tight deadlines. 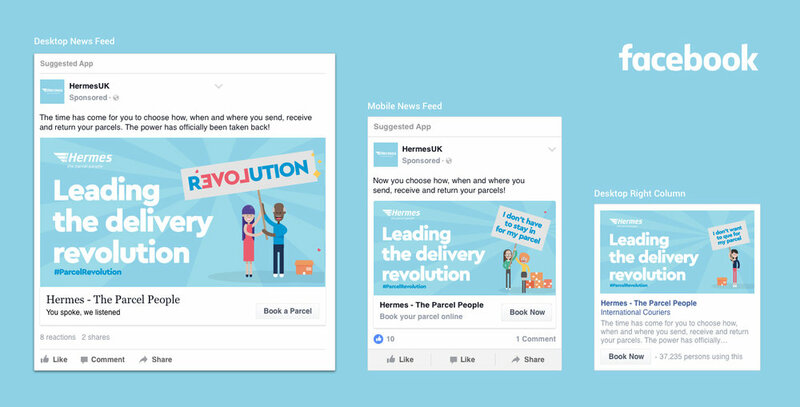 Ive escorted and advise them through their re-brand last year, created customer and client facing presentations for the SEOs of the company, planned and designed B2C & B2B campaigns, web banners, marketing material for events, print POS items, product graphics... you name it, I’ve done it. As the client facing designer and project manager for the past year,Ive single handedly managing their internal team, my own and other designers workload as well as producing artwork, presentations, planning campaigns and billing. 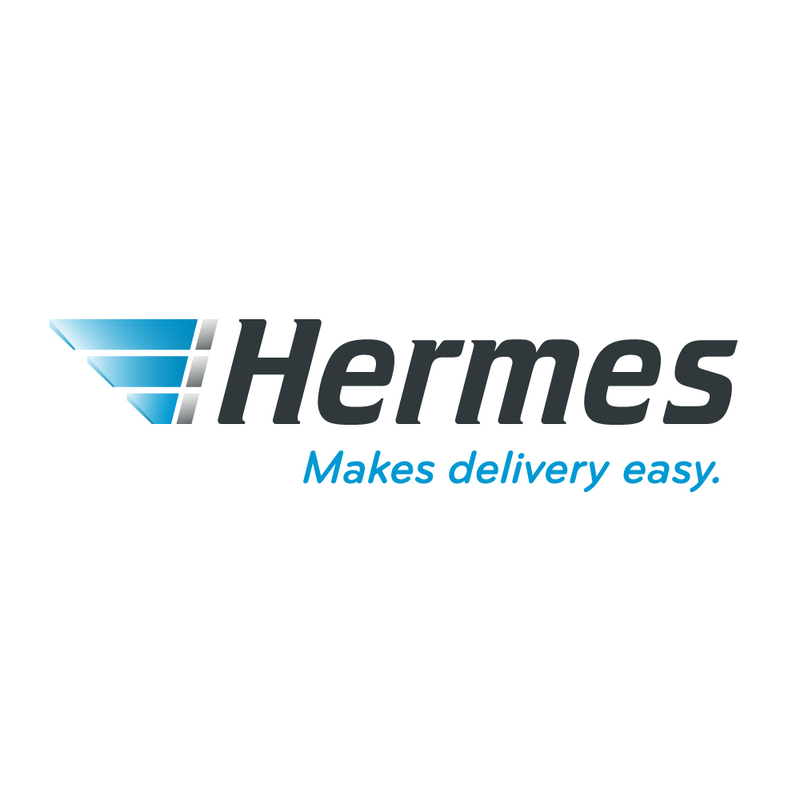 I was delighted to design a wide range of print and digital adverts for Hermes. 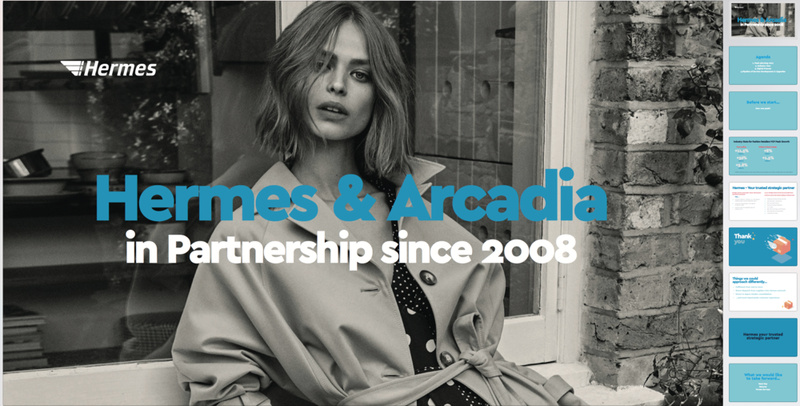 They are commonly showcased in well known magazines and catalogues such as ASOS, DEBENHAMS and Charles Tyrwhitt. 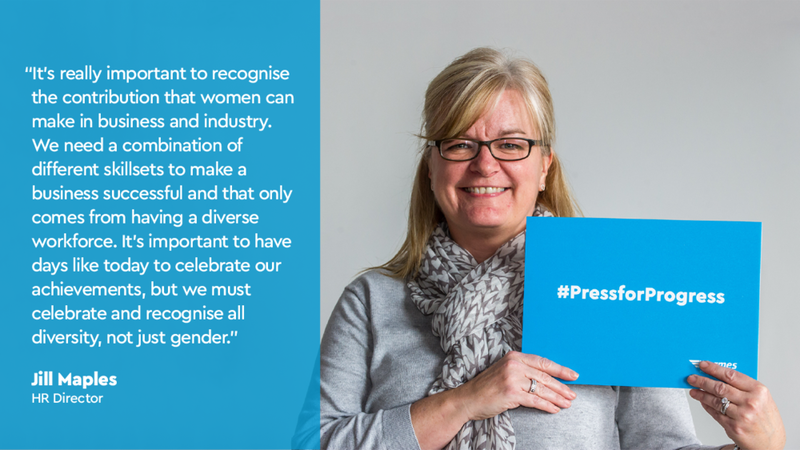 This year we introduced a fresh style that freshened a tired brand and encouraged their clients to see a new different side to them… and they loved it! These are the courier slips that get put through your doors if you were out when a parcel had an attempted delivery. They used to look terrible, now they don't! 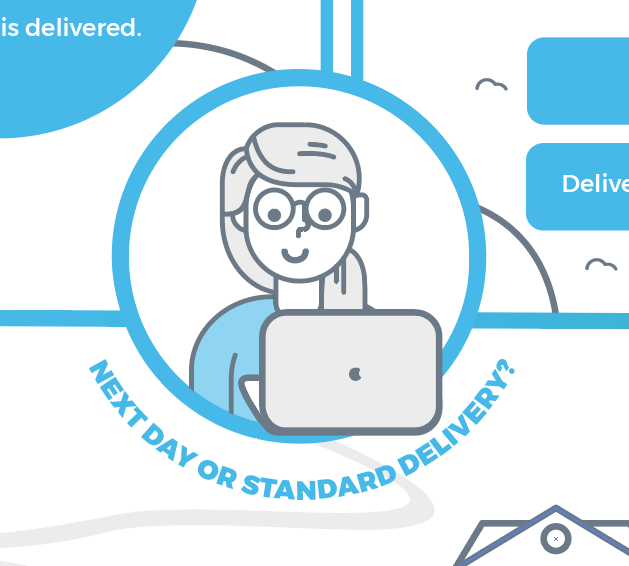 I introduced some fun and friendly elements that make missing a parcel delivery just a little less depressing. There are now two sides, one for the standard purpose and the other as a receipt for a collected parcel, keeping the amount of paper down and the planet a little greener. 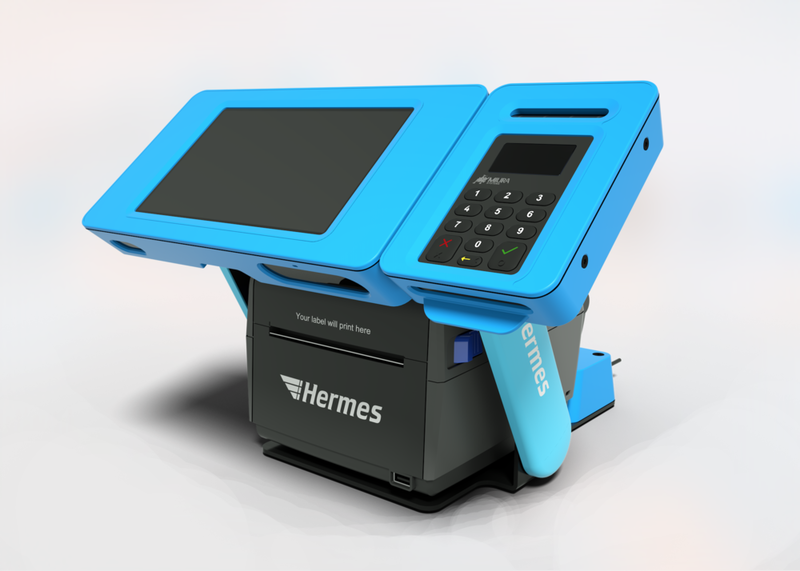 I helped Hermes design and style their latest product the 'Print in store' machine. 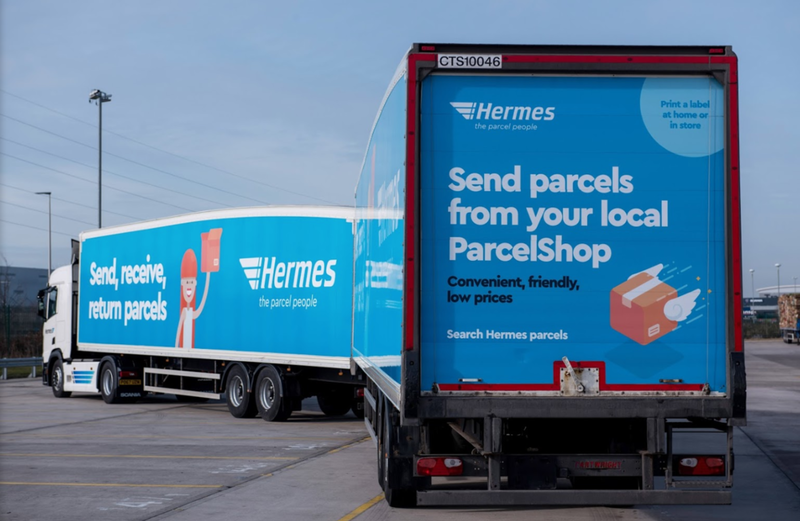 This machine will be rolled out into the 4,500 ParcelShops up and down the country, improving the customers sending and returning experience. 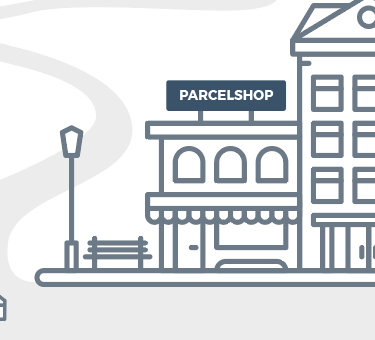 This service is designed to make sending parcels more convenient for the end customer, by offering a label printing service avoiding ques and allowing the customer to take control of their day. 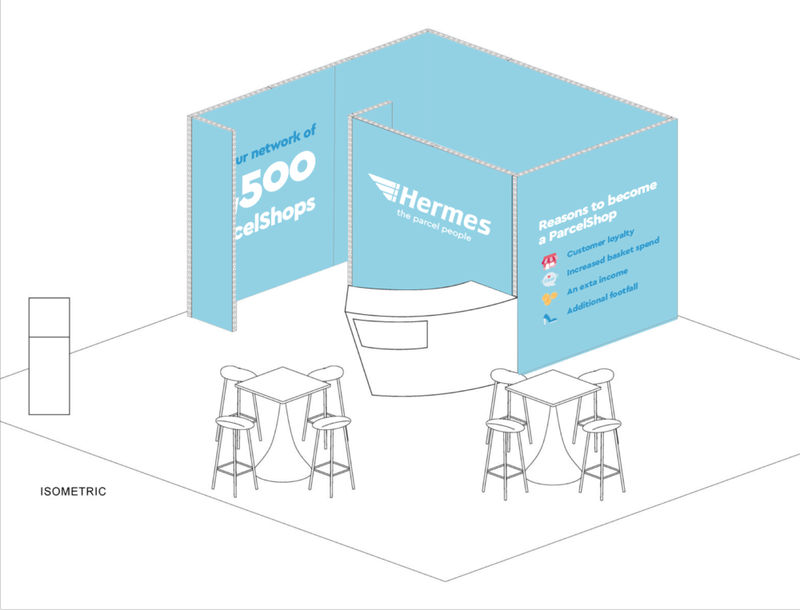 I helped the Hermes UK Marketing team build a template for their monthly emails, I also helped to plan content, strategies and visuals from July 2017 - 18. 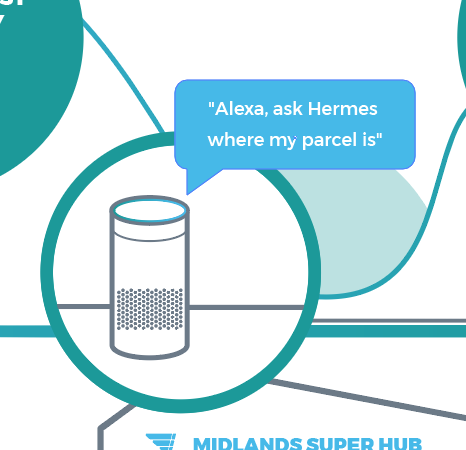 Hermes asked Adao to help plan the opening of their new gigantic super Hub in Rugby now the biggest parcel sorting hub in Europe! Over 200 guests were invited with our hand crafted invite boxes which including popcorn, cinema vouchers and other bits and pieces for the day. All the big brands of the shopping world turned up, making it the biggest launch yet! 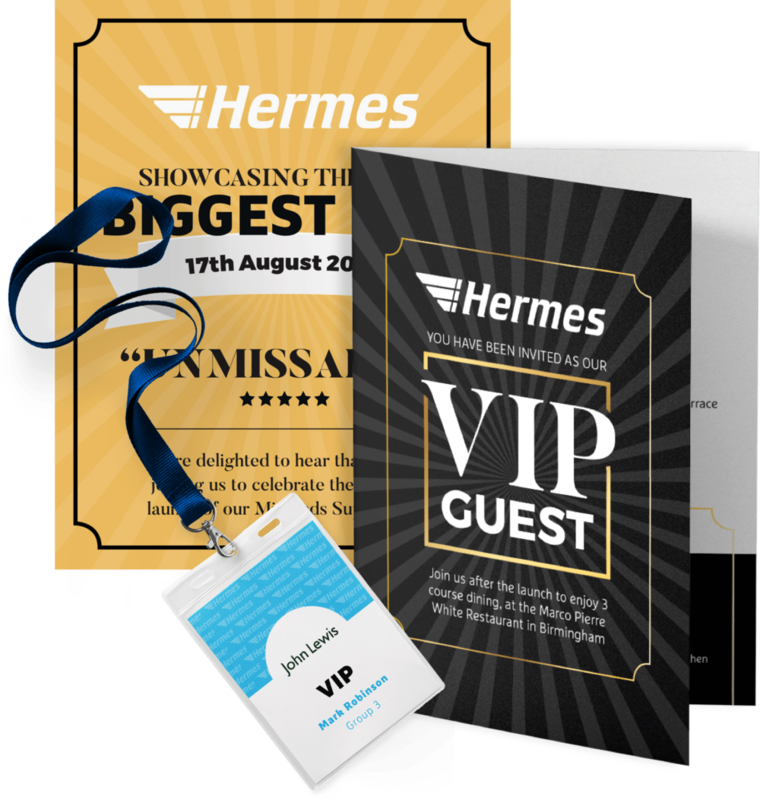 The event was partially held guest at Showcase Cinema and then guests had a tour of the hub and a sneaky peak into the new innovative technologies and plans Hermes had planned for 2018! 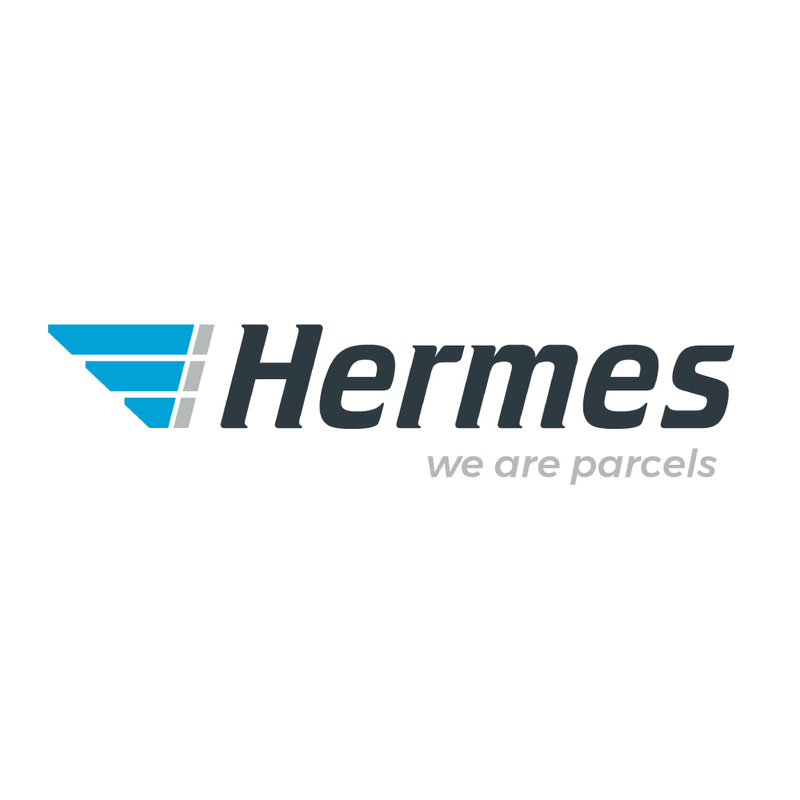 We created tailored coloured high visibility jackets for Hermes clients to wear when visiting the depots for meetings or events. 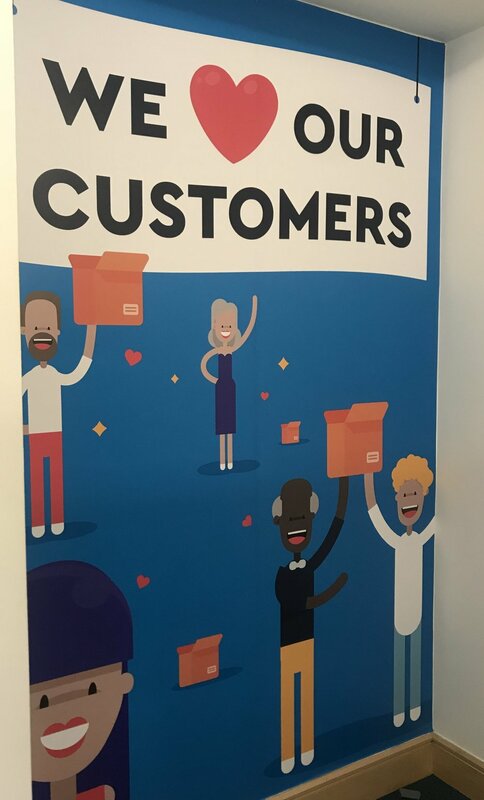 Which made the clients feel more valued as a customers over other competitors.